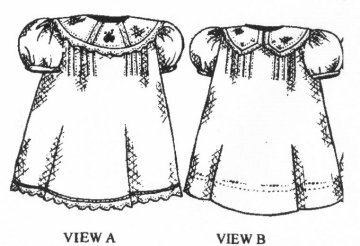 Tucked Dress may be left plain or finished with tiny tucks on the front. 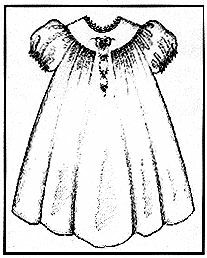 The neck opening may be finished with a simple band or a peter pan collar. 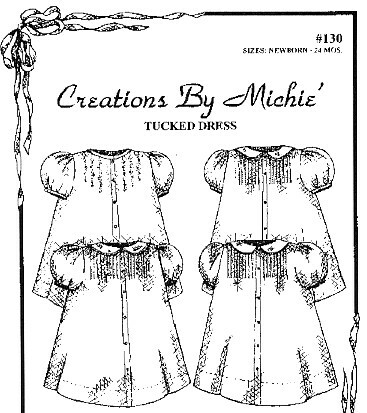 A choice of two tuck guides and embroidery designs are included. Sizes Newborn - 24 months included in this pattern.